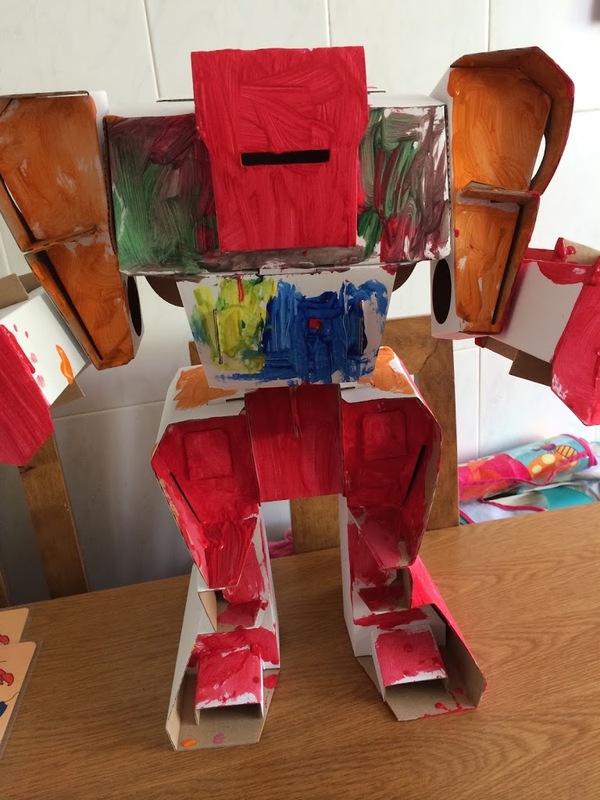 This month we have been building and painting our own CALAFANT Robot kit, which has brought us lots of enjoyment and family fun. We have another review and giveaway of this product with being part of the Asobi Ambassadors program. This months toy was definitely one of our favourites. Last month we got to review and giveaway the Quercetti Marble Vortex Run, previously Safari Ltd Toys, then the fun and high flying Curiosity Kits Rocket Launcher, the previous month the fantastic PL-UG Ultimate Den Building Kit and the month before the Seedling Colour The Globe. CALAFANT came about by a well known cartoon artist in Germany called Boris Schimanski. He wanted to keep his children occupied with something that would hold their attention and their imagination. 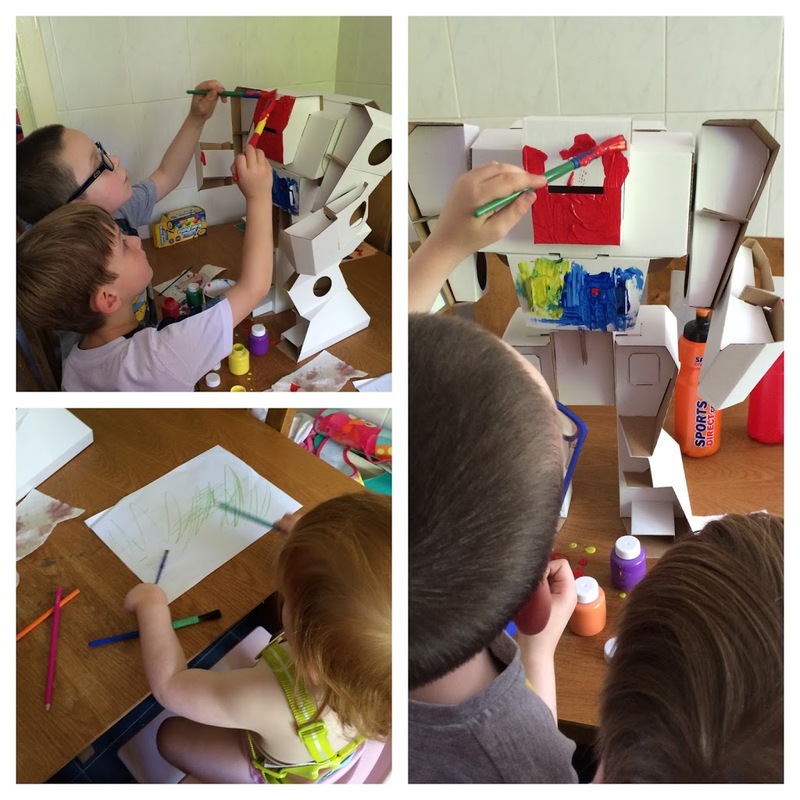 He made them a cardboard castle to build and paint. 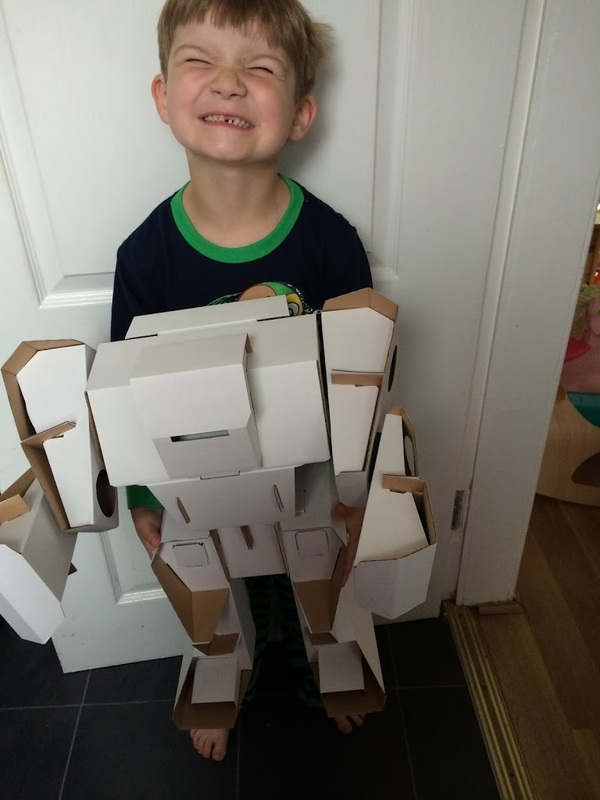 Building and creating your own toys doesn’t date and so CALAFANT was born. You can now buy various models in different sizes from castles, palaces, teepees, forts, tree houses and many many more. I love building items and making them into things. My youngest son Tyler loves doing this too. My oldest Lucas isn’t into this as much, he doesn’t quite have the same patience and would much rather be kicking about a ball. One Sunday afternoon Tyler and I got to work on building this awesome Robot while baby girl slept and his big brother was at football. Being a robot fan this was a lot of fun for Tyler. We got out the instructions and all the parts and set to work. He’s only 5 1/2 and I’d say there is no way he could do this himself. There was a lot of adult input, but together we got this built and were proud of what we made. The instructions were simple and easy to follow, even though there were a lot of them, they were step by step with pictures. The cardboard was sturdy, yet easy to bend into place. I really was impressed with how sturdy each item became. The Robot arms can be moved at the elbow and the shoulder which I think is fab. It was a little tricky pushing in these parts and I’d say that’s the only part that took me time. All in all it was a great project to do together and we had a lot of fun. As you can see below Tyler was pleased with the outcome. 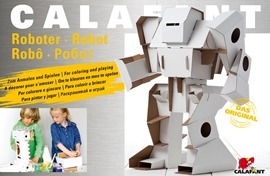 The CALAFANT robot is a fair size and doesn’t fall over or fall apart that you might expect from cardboard built toys. No, this robot can be played with. 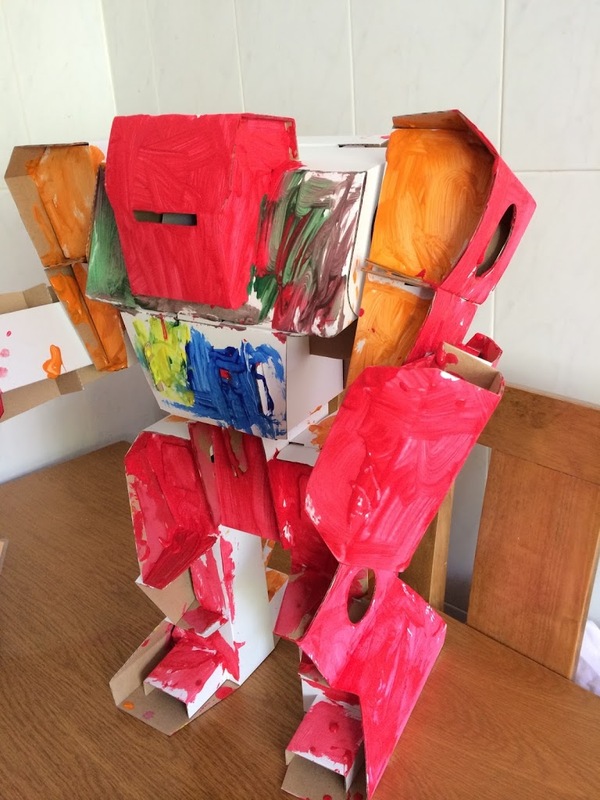 The next weekend, Lucas wanted to join in painting him as he loved the look of him and he loves robots. I set them both up to paint and let them get on with it. Aria wanted to join in with the painting, but was a little too small, so she got to colour in instead. The boys had a ball doing this and you could keep adding to it. You don’t have to stop with paint, you can add glitter or bits and pieces you have lying around. There is no limits here. Our robot so far. I’m sure we might add bits and pieces as time goes on. We loved this kit. It was a great bonding experience and something to do as a family. The boys could then go on and use their imagination to decorate and can continue with play and learn. 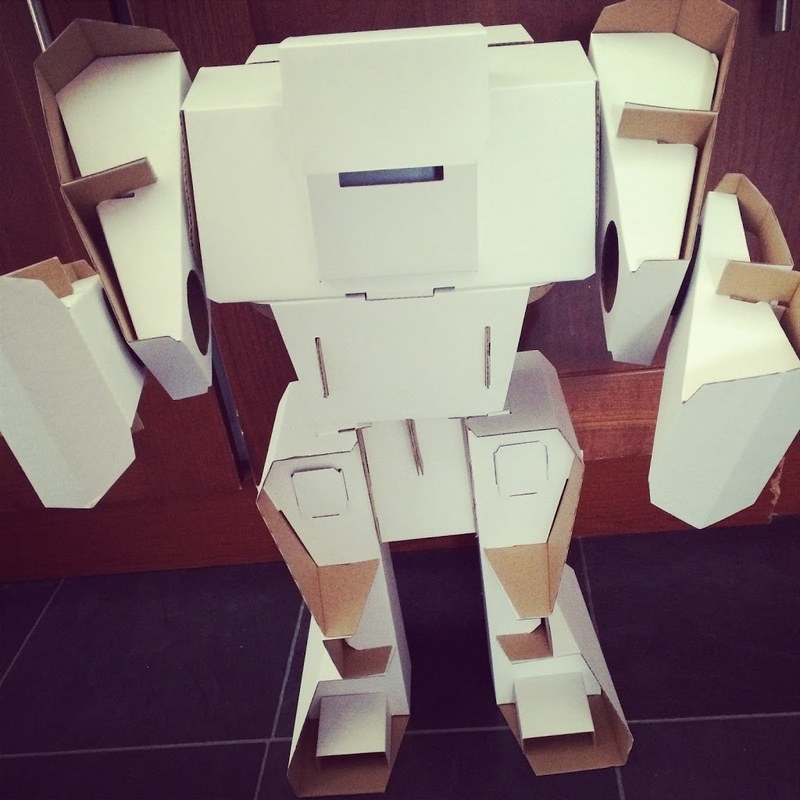 I was surprised by how sturdy and well made the robot was considering it’s cardboard. This really was one of those toys that blew me away. I would definitely buy these kits again and they make perfect gifts. In fact I bought the tree house one for Aria for her Christmas for the little figures she loves to play with. I would say older children could build this on their own, but younger children a lot of adult building is required.There are other kits which are simpler and may not require as much adult intervention. These kids are available from Kind Toys. I would highly recommend these. Also to support #AsobiAmbassadors, Kind Toys are offering a 20% discount off all CALAFANT products throughout September using discount code CALAFANT at the checkout. 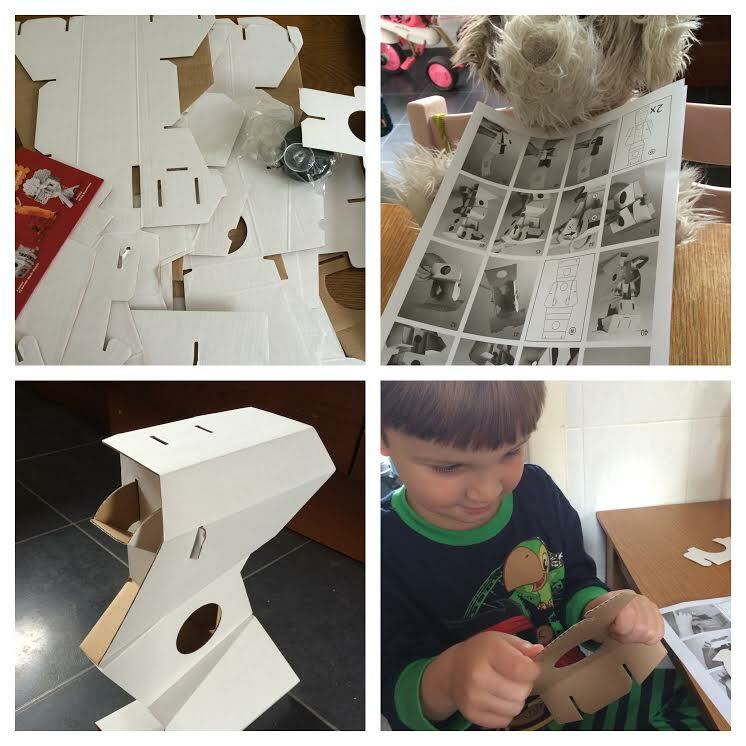 The other Asobi Ambassadors have been reviewing different CALAFANT Kits, see what they thought of them and enter their competitions too Edspire, A Mummy Too, Lilinha Angel, Innocent Charm Chats, Blog By Baby, Dancing in My Wellies, Real Housewife of Suffolk and Hello from Jo tried out.